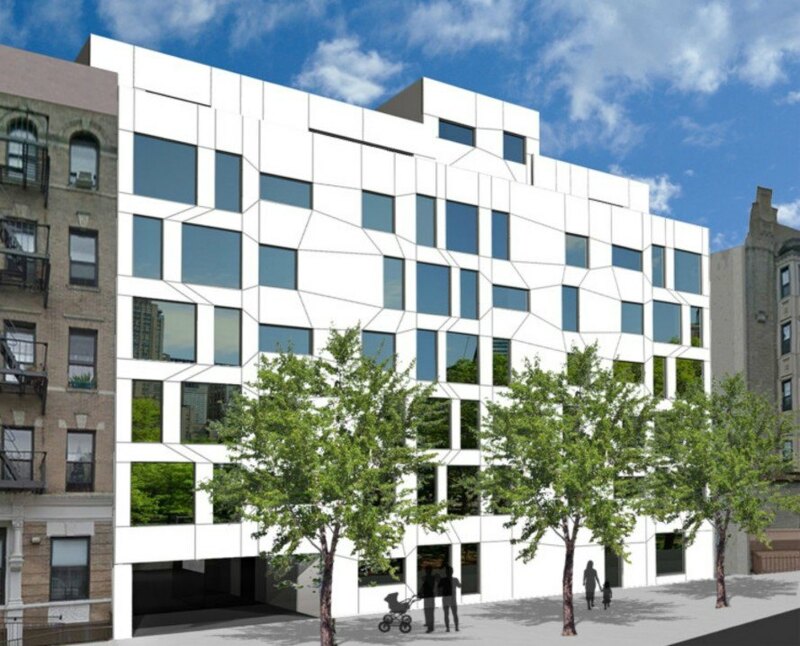 NYC is about to get its first passive apartment building. Located in Hamilton Heights, the 34-unit Perch Harlem development is currently under construction and slated to open in May. Once complete, the project will be one of the greenest apartment buildings in all of NYC, boasting 80-90 percent less energy use than traditionally constructed buildings. The seven-story, energy-efficient building will offer 34 one- and two- bedroom apartments, which promise soundproofing, and strange as it may sound, smell-resistant features. As the first market-rate rental building in New York City designed to Passive House standards, the project is set to be an example for future sustainable projects in the city. To maximize energy efficiency, the building is being installed with high-grade 8-in insulation and high-performance triple-pane glazing. Additionally, all of the units will have large fixed windows in order to let in the optimal amount of natural light although smaller windows will be operable to let in fresh air. Reclaimed wood flooring will be installed throughout the interior. For energy and water systems, each unit will have central heating and cooling, and an energy-recovery ventilator that will be able to store heat output from the cooling systems in order to produce hot water. As far as estimated energy use, Perch Harlem will use 9.57 kWh/sq ft (103 kWh/sq m) per year. A blower test, which measures the air tightness of buildings, has already proved that the building’s levels are well within Passive House standards. Just in case smell-resistance isn’t enough, future Perch Harlem tenants will also be able to enjoy smart technology in their apartments as well as the contemporary interior designed by Me and General Design Firm. Shared community amenities will include a rooftop terrace, storage, car and bike parking, a resident lounge, gymnasium, and a virtual doorman. Perch Harlem is slated to be completed by May 2016. The company behind the design, Perch Living, is also planning to start a similar project in Brooklyn in the near future. The seven-story energy-efficient building will offer 34 one or two bedroom apartments, all of which will be sound proof and oddly, smell resistant. As far as sustainability features, as the first market-rate rental building in New York City designed to Passive House standards, the project is set to be an example for future projects in the city. The building is being constructed with high-grade 8-in insulation and high performance triple-pane glazing to reduce energy loss. Additionally, all of the units will have large fixed windows in order to let in the optimal amount of natural light. Smaller windows will be operable though to let in fresh air. Reclaimed wood flooring will be installed throughout the interior. For energy and water systems, each unit will have a central heating and cooling, and an energy-recovery ventilator that will be able to store heat output from the cooling systems in order to produce hot water. Construction site for the new Harlem Perch building in Hamilton Heights.